The classic mod the ship is reborn to the source engine. The Ship is primarily a multi player, online murder game with a unique set of game rules. 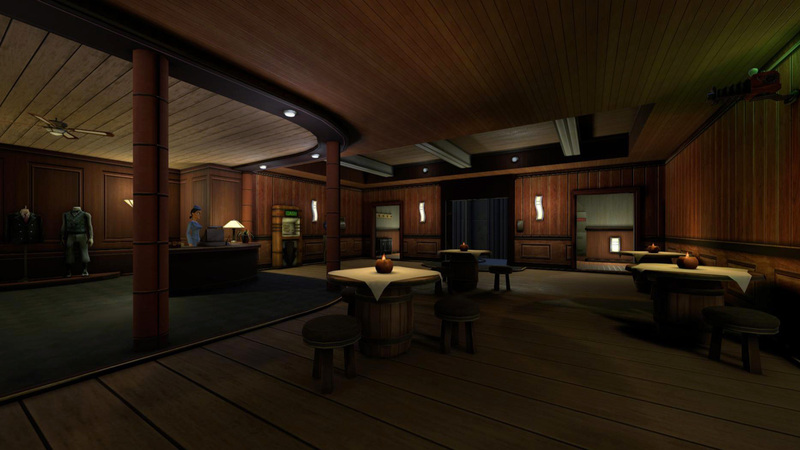 The Ship is owned by the mysterious Mr X and as one of many "lucky" recipients of a free ticket you arrive on board The Ship to find there's a catch to your luxury cruise. What's changing in The Ship: Remasted? Most of the updates are to do with the new engine and new look, with some modest improvements to game UI and game functionality. As we’re in Early Access, various features are pending and bugs and polish are keeping us busy – so you have to squint a little in a few places to see what we’re up to. Some changes are on trial or have yet to be fully implemented, but we seem to be moving in the right direction. New Tech: most importantly, we have moved our codebase into the Unity engine – no small feat when the task was less of a ‘port’ and more of a re-implementation. Not only is the game up-to-date technically and looking a lot nicer, we can now edit our own code and properly respond to feedback. Unity also offers the potential for other improvements, such as easier multiplatform development, and of course we have a code base we can develop further (which is one of our key milestones on the way to Ship 2). Map improvements: there’s a raft (ahem) of map improvements. These include new lighting, texturing, some new prop dressing, refinement of security and camera placement to minimise bad surprises, fixed room security (to help make witnessing less confusing), some re-modelled props, new paintings, and various other enhancements. Dedicated servers: right now we have limited/test access to Relay Servers for multiplayer games (Relay Servers essentially allow LAN games to be played over the internet). When Dedicated Servers are released, not only will the multiplayer experience be more robust and offer more opportunity to connect to (or create) servers, it will fix one of Murder Party’s major problems after this feature broke down due to the aging technology base. HUD Refinements: We want to make the HUD less cluttered and more readable under pressure and easier to understand for new players. The ‘being witnessed’ indicator felt too out of sight and hard to understand, many players were generally confused over what they were looking at on the HUD, and there was a lot of information packed into a small space. As it is, some of the removed information may make a resurgence – there’s a lot of important information to message in The Ship – but we wanted to start as minimal as possible. New Inventory: How the inventory worked was confusing and too multi-layered for new users, and cross-linked into other unrelated panels. We still have a bit to go in polishing the new variation, but it is more immediate and hopefully more understandable, or will be with a bit more usability refinement. 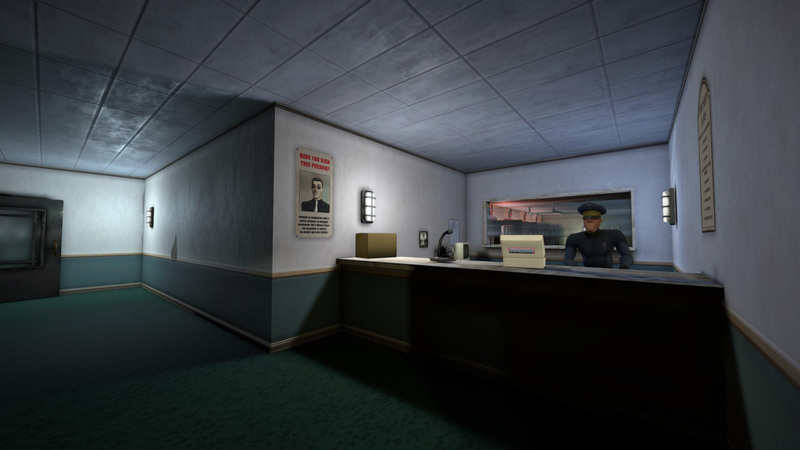 In general, there was quite a lot of ‘clunk’ navigating the Murder Party screens and menus. In some cases, we’ve introduced new and different clunk, but that’s where polish comes in. Deck plan improvements: the original deck plan was confusing to some players, and was a bit of a click-fest while under pressure. Right now, it’s more ‘view at a glance’, but still needs love and attention to get in some missing behaviour (e.g. proper highlighting of your and your quarry’s position). New Bots: although not yet available to players, these have been re-implemented from scratch. The previous AI was rather predictable, so we’re hopefully these new shipmates will provide more of a challenge. Right now they’re new and seem to have a mind of their own, which will be exactly what’s needed… when they settle down a bit. Small usability fixes: we’ve fixed or are planning to fix a number of irksome things that have plagued users over the years. Bugs: we’re continuing to squish these slippery critters from the deep. Ongoing feature work: you can look here to see the status of everything in the project. Player feedback: we’re reading what you say and acting on what we can. Polish: There’s a general lack of polish due to a focus on priority features or more serious bugs, but as that dies down the level of polish should go up. 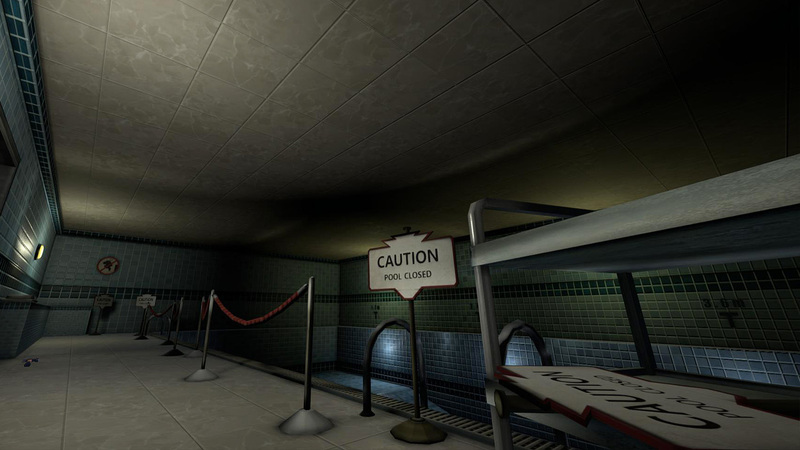 Missing features: Various elements like lifts, secrets, traps, swimming, world leaders, ladders, breakable glass, and some game modes, have been pushed towards the end of the development schedule. Given the interdependency of the other game systems, these were the only things we could de-prioritize, and most of them required specialized or more time-consuming code. This in turn has had a few knock-ons, e.g. the Raifucu Maru map has been deprioritised for now because it relies on a lot of these functions. Doors: despite their seeming furniture-like innocence, doors are part of that ‘harder to implement’ stuff. For now, they’re open to avoid a bunch of player complaints from the original game and support more fluid play, along with the added advantage of avoiding a technical headache, but we’re open to feedback. Players tended to leave them open as the game progresses and the likes of Bloody Good Time functioned with open doors. Handling messaging better: the original game tended to spark a lot of questions: what am I doing? What’s happening? What do I do now? A lot of what happens in The Ship is mysterious to new players, so clarifying how to play the game and better messaging of the game loop is something we want to improve. Balancing: We’ll likely try a few experiments with game data in closed testing, bearing various requests in mind. E.g. The Ship: Gold Source (that very first iteration of The Ship) had various differences that some remember fondly. 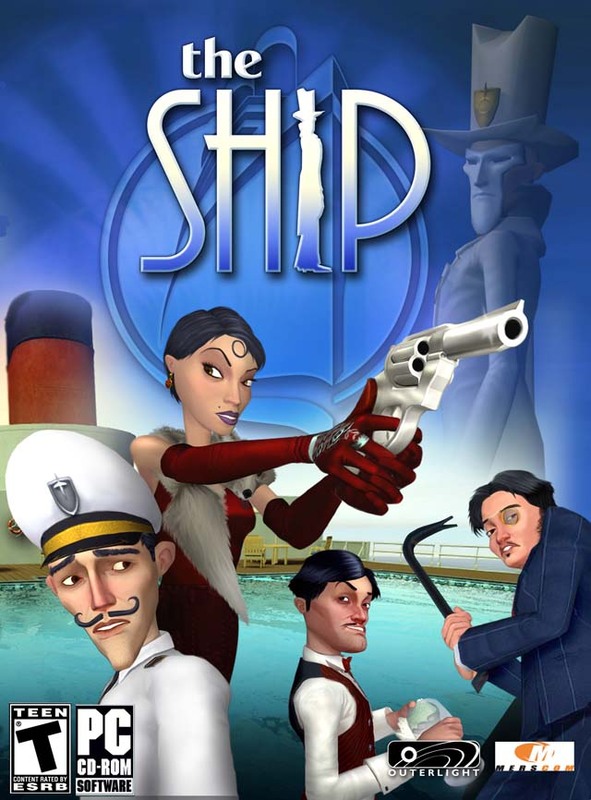 The Ship: Remasted is available on Steam Early Access. Grab it this week to take advantage of the launch discount! There is a lot to The Ship. Deception and knowledge is key, read the manual to learn what you are up against. The Ship SDK includes custom map compilation tools, a modified version of VMEX, The Ship's FGD, and a tool called Deckplanner. I notice something your hunter looks like you or if its a girl hunting you they don't look like you. I have the game on steam is their a way to add it on here without buying it? I'm so desperate for this game!!!!!! It came out in 2006. Cool game, a little sims like FPS experience though not enough demanding on the needs levels. I enjoyed the single player campaign while it lasted. I am giving away a copy of this game on steam to the first person to comment on my profile page here on Desura. Must have a steam account to get the gift. Be sure to type in your Steam user name so I can give it to the right person. game already gifted to someone.